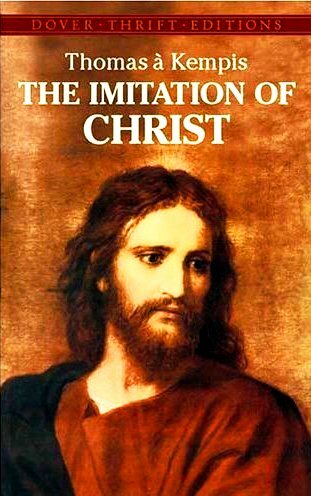 The Imitation of Christ is one of the most widely read books in the world, after the Bible. It was written by a 15th century monk named Thomas A. Kempis. Anyone looking to increase their spirituality and to get closer to Jesus would be well advised to study and read this great book, which is available for free on line. It is a great idea to purchase a copy of this book also, to take with you to Adoration of the Blessed Sacrament. Spiritual reading is one thing that is recommended by a lot of saints to overcome the unholy trinity of the flesh, the devil, and the world. It is broken down in to 4 sub books, with many great chapters in each one. And the really good news is that it is very easy to read, and it will change your life in ways unimaginable. SO LONG as we live in this world we cannot escape suffering and temptation. Whence it is written in Job: "The life of man upon earth is a warfare." ---JOB VIII.1. Everyone, therefore, must guard against temptation and must watch in prayer lest the devil, who never sleeps but goes about seeking whom he may devour, find occasion to deceive him.---1 PETER V. 8. No one is so perfect or so holy but he is sometimes tempted; man cannot be altogether free from temptation. Yet temptations, though troublesome and severe, are often useful to a man, for in them he is humbled, purified, and instructed. The saints all passed through many temptations and trials to profit by them, while those who could not resist became reprobate and fell away. There is no state so holy, no place so secret that temptations and trials will not come. Man is never safe from them as long as he lives, for they come from within us -- in sin we were born. When one temptation or trial passes, another comes; we shall always have something to suffer because we have lost the state of original blessedness. Many people try to escape temptations, only to fall more deeply. We cannot conquer simply by fleeing, but by patience and true humility we become stronger than all our enemies. The man who only shuns temptations outwardly and does not uproot them will make little progress; indeed they will quickly return, more violent than before. Little by little, in patience and long-suffering you will overcome them, by the help of God rather than by severity and your own rash ways. Often take counsel when tempted; and do not be harsh with others who are tempted, but console them as you yourself would wish to be consoled. The beginning of all temptation lies in a wavering mind and little trust in God, for as a rudderless ship is driven hither and yon by waves, so a careless and irresolute man is tempted in many ways. Fire tempers iron and temptation steels the just. Often we do not know what we can stand, but temptation shows us what we are. Above all, we must be especially alert against the beginnings of temptation, for the enemy is more easily conquered if he is refused admittance to the mind and is met beyond the threshold when he knocks. Someone has said very aptly: "Resist the beginnings; remedies come too late, when by long delay the evil has gained strength." First, a mere thought comes to mind, then strong imagination, followed by pleasure, evil delight, and consent. Thus, because he is not resisted in the beginning, Satan gains full entry. And the longer a man delays in resisting, so much the weaker does he become each day, while the strength of the enemy grows against him. Some suffer great temptations in the beginning of their conversion, others toward the end, while some are troubled almost constantly throughout their life. 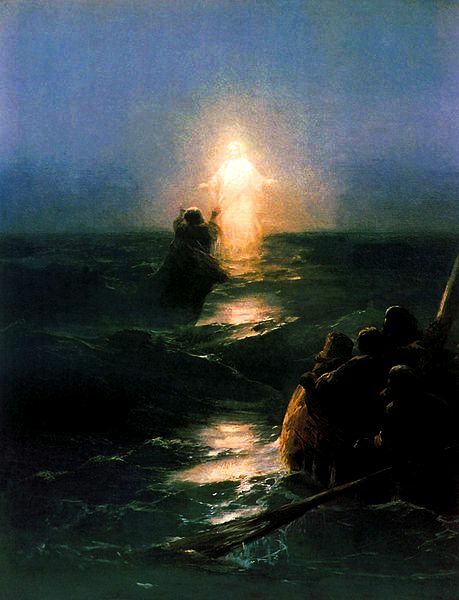 Others, again, are tempted but lightly according to the wisdom and justice of Divine Providence Who weighs the status and merit of each and prepares all for the salvation of His elect. We should not despair, therefore, when we are tempted, but pray to God the more fervently that He may see fit to help us, for according to the word of Paul, He will make issue with temptation that we may be able to bear it.---COR. X. 13. Let us humble our souls under the hand of God in every trial and temptation for He will save and exalt the humble in spirit. In temptations and trials the progress of a man is measured; in them opportunity for merit and virtue is made more manifest. When a man is not troubled it is not hard for him to be fervent and devout, but if he bears up patiently in time of adversity, there is hope for great progress. Some, guarded against great temptations, are frequently overcome by small ones in order that, humbled by their weakness in small trials, they may not presume on their own strength in great ones. PATIENCE, O Lord God, is very necessary for me, I see, because there are many adversities in this life. No matter what plans I make for my own peace, my life cannot be free from struggle and sorrow. The Voice of Christ My child, you are right, yet My wish is not that you seek that peace which is free from temptations or meets with no opposition, but rather that you consider yourself as having found peace when you have been tormented with many tribulations and tried with many adversities. If you say that you cannot suffer much, how will you endure the fire of purgatory? Of two evils, the lesser is always to be chosen. Therefore, in order that you may escape the everlasting punishments to come, try to bear present evils patiently for the sake of God. Do you think that men of the world have no suffering, or perhaps but little? Ask even those who enjoy the most delights and you will learn otherwise. "But," you will say, "they enjoy many pleasures and follow their own wishes; therefore they do not feel their troubles very much." Granted that they do have whatever they wish, how long do you think it will last? Behold, they who prosper in the world shall perish as smoke, and there shall be no memory of their past joys. Even in this life they do not find rest in these pleasures without bitterness, weariness, and fear. For they often receive the penalty of sorrow from the very thing whence they believe their happiness comes. And it is just. Since they seek and follow after pleasures without reason, they should not enjoy them without shame and bitterness. How brief, how false, how unreasonable and shameful all these pleasures are! Yet in their drunken blindness men do not understand this, but like brute beasts incur death of soul for the miserly enjoyment of a corruptible life. Therefore, My child, do not pursue your lusts, but turn away from your own will. "Seek thy pleasure in the Lord and He will give thee thy heart's desires." If you wish to be truly delighted and more abundantly comforted by Me, behold, in contempt of all worldly things and in the cutting off of all base pleasures shall your blessing be, and great consolation shall be given you. Further, the more you withdraw yourself from any solace of creatures, the sweeter and stronger comfort will you find in Me. At first you will not gain these blessings without sadness and toil and conflict. Habit already formed will resist you, but it shall be overcome by a better habit. The flesh will murmur against you, but it will be bridled by fervor of spirit. The old serpent will sting and trouble you, but prayer will put him to flight and by steadfast, useful toil the way will be closed to him. BEHOLD, I come to You, Lord, that I may prosper by Your gift and be delighted at Your holy banquet which You, O God, in Your sweetness have prepared for Your poor. Behold, all that I can or ought to desire is in You. You are my salvation and my redemption, my hope and strength, my honor and glory. Gladden, then, this day the soul of Your servant because I have raised my heart to You, O Lord Jesus. I long to receive You now, devoutly and reverently. I desire to bring You into my house that, with Zacheus, I may merit Your blessing and be numbered among the children of Abraham. My soul longs for Your Body; my heart desires to be united with You. Give me Yourself -- it is enough; for without You there is no consolation. Without You I cannot exist, without Your visitation I cannot live. I must often come to You, therefore, and receive the strength of my salvation lest, deprived of this heavenly food, I grow weak on the way. Once, most merciful Jesus, while preaching to the people and healing their many ills, You said: "I will not send them away fasting, lest they faint in the way." Deal with me likewise, You Who have left Yourself in this Sacrament for the consolation of the faithful. You are sweet refreshment to the soul, and he who eats You worthily will be a sharer in, and an heir to, eternal glory. It is indeed necessary for me, who fall and sin so often, who so quickly become lax and weak, to renew, cleanse, and inflame myself through frequent prayer, confession, and the holy reception of Your Body, lest perhaps by abstaining too long, I fall away from my holy purpose. For from the days of his youth the senses of man are prone to evil, and unless divine aid strengthens him, he quickly falls deeper. 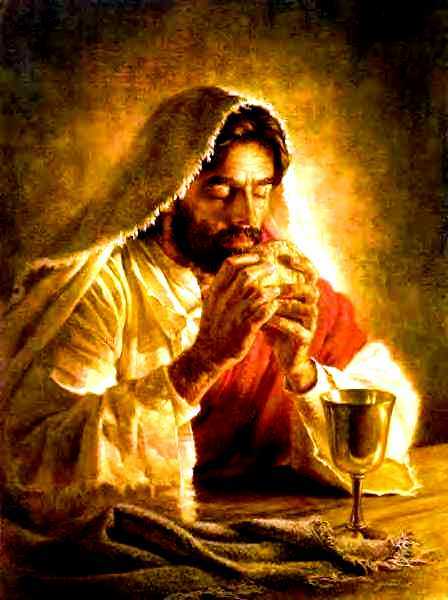 But Holy Communion removes him from evil and confirms him in good. If I am so often careless and lax when I celebrate or communicate, what would happen if I did not receive this remedy and seek so great a help? Although I am neither fit nor properly disposed to celebrate every day, yet I will do my best at proper times to receive the divine Mysteries and share in this great grace. This, indeed, is the one chief consolation of the faithful soul when separated from You by mortality, that often mindful of her God, she receives her Beloved with devout recollection. Oh, wonderful condescension of Your affection toward us, that You, the Lord God, Creator and Giver of life to all, should see fit to come to a poor soul and to appease her hunger with all Your divinity and humanity! O happy mind and blessed soul which deserves to receive You, her Lord God, and in receiving You, is filled with spiritual joy! How great a Master she entertains, what a beloved guest she receives, how sweet a companion she welcomes, how true a friend she gains, how beautiful and noble is the spouse she embraces, beloved and desired above all things that can be loved and desired! Let heaven and earth and all their treasures stand silent before Your face, most sweetly Beloved, for whatever glory and beauty they have is of Your condescending bounty, and they cannot approach the beauty of Your name, Whose wisdom is untold. O LORD my God, favor Your servant with the blessings of Your sweetness that I may merit to approach Your magnificent Sacrament worthily and devoutly. Lift up my heart to You and take away from me this heavy indolence. Visit me with Your saving grace that I may in spirit taste Your sweetness which lies hidden in this Sacrament like water in the depths of a spring. Enlighten my eyes to behold this great Mystery, and give me strength to believe in it with firm faith. For it is Your work, not the power of man, Your sacred institution, not his invention. No man is able of himself to comprehend and understand these things which surpass even the keen vision of angels. 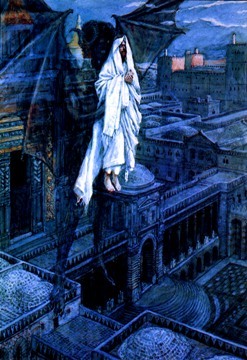 How, then, shall I, an unworthy sinner who am but dust and ashes, be able to fathom and understand so great a mystery? O Lord, I come to You at Your command in simplicity of heart, in good, firm faith, with hope and reverence, and I truly believe that You are present here in this Sacrament, God and man. It is Your will that I receive You and unite myself to You in love. Wherefore, I beg Your mercy and ask that special grace be given me, that I may be wholly dissolved in You and filled with Your love, no longer to concern myself with exterior consolations. 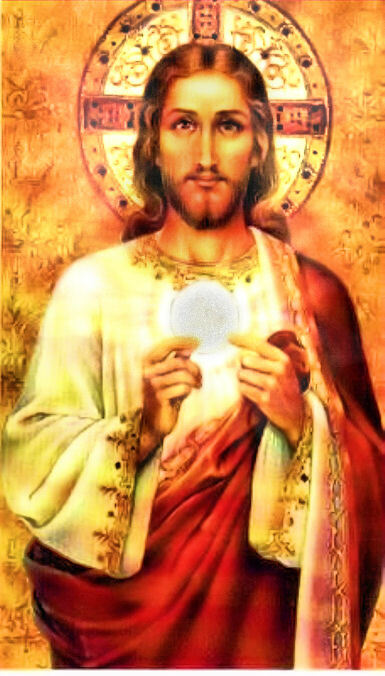 For this, the highest and most worthy Sacrament, is the health of soul and body, the cure of every spiritual weakness. In it my defects are remedied, my passions restrained, and temptations overcome or allayed. In it greater grace is infused, growing virtue is nourished, faith confirmed, hope strengthened, and charity fanned into flame. You, my God, the protector of my soul, the strength of human weakness, and the giver of every interior consolation, have given and still do often give in this Sacrament great gifts to Your loved ones who communicate devoutly. Moreover, You give them many consolations amid their numerous troubles and lift them from the depths of dejection to the hope of Your protection. With new graces You cheer and lighten them within, so that they who are full of anxiety and without affection before Communion may find themselves changed for the better after partaking of this heavenly food and drink. Likewise, You so deal with Your elect that they may truly acknowledge and plainly experience how weak they are in themselves and what goodness and grace they obtain from You. For though in themselves they are cold, obdurate, and wanting in devotion, through You they become fervent, cheerful, and devout. Who, indeed, can humbly approach the fountain of sweetness and not carry away a little of it? Or who, standing before a blazing fire does not feel some of its heat? You are a fountain always filled with superabundance! You are a fire, ever burning, that never fails! Therefore, while I may not exhaust the fullness of the fountain or drink to satiety, yet will I put my lips to the mouth of this heavenly stream that from it I may receive at least some small drop to refresh my thirst and not wither away. And if I cannot as yet be all heavenly or as full of fire as the cherubim and seraphim, yet I will try to become more devout and prepare my heart so that I may gather some small spark of divine fire from the humble reception of this life-giving Sacrament. Whatever is wanting in me, good Jesus, Savior most holy, do You in Your kindness and grace supply for me, You Who have been pleased to call all unto You, saying: "Come to Me all you that labor and are burdened and I will refresh you." I, indeed, labor in the sweat of my brow. I am torn with sorrow of heart. I am laden with sin, troubled with temptations, enmeshed and oppressed by many evil passions, and there is none to help me, none to deliver and save me but You, my Lord God and Savior, to Whom I entrust myself and all I have, that You may protect me and lead me to eternal life. For the honor and glory of Your name receive me, You Who have prepared Your Body and Blood as food and drink for me. Grant, O Lord, my God and Savior, that by approaching Your Mysteries frequently, the zeal of my devotion may increase.